India Palace Restaurant took the full advantage of its imperial location, as it is not only located in the centre of the city, but it is also quite close to Dubai Creek. Therefore, this eatery attracts lot of crowd, who like to consume authentic food of India in a tasteful decor. The traditional live music played at this restaurant makes the environment even more lively, plus comfortable seating and attentive service keeps everyone more than satisfy. As far as the delectable dishes of this bistro are concerned, guests would not experience any sub-standard food at this site because chefs strive really hard to maintain the quality and taste of fares. Excellent Indian and vegetarian dishes, live music, private dining area, carry out facility, comfortable decor and warm service all together makes India Palace Restaurant in Garhoud, Dubai. This elegant bistro has got almost everything that one could think of and the prices are not too high as well. To be precise this restaurant is a magnificent treat in its self, as musician are playing live music of India, while the guests are busy in savouring the mouth-watering delicacies of this restaurant that are cooked very carefully. Curries, tandoori chicken and sekh kebabs are the top specialities of this bistro. 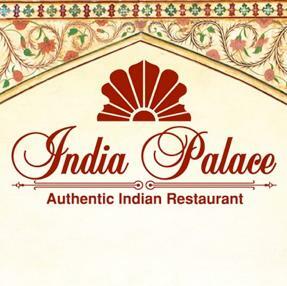 India Palace Restaurant carries out its daily activities from noon till midnight and it opens on all days of the week. Near Al Tayer Motors, Garhoud, Dubai, United Arab Emirates. Head west after getting out of this metro station and then take a sharp left turn in order to go through one roundabout, which will lead them straight to the destination. Garhoud, Le Meridian Fairway – Dubai is a bus stop that is just 2 minutes walk from the India Palace Restaurant, as it is just 180 meters away. Bus number 42 serves this bus station and visitors of India Palace Restaurant can use it to arrive at this spot, from where they will head north to get to this bistro. 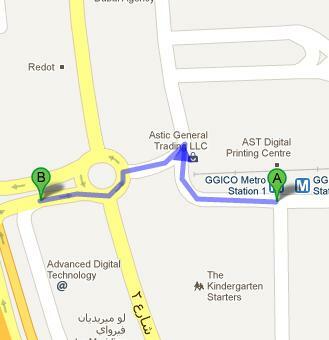 Follow map for directions.